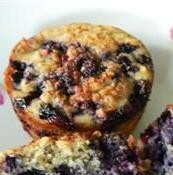 "This healthy breakfast treat is great way to start Mother’s day. It's so delicious you'll wish you could eat it every morning." You wonna know what ingreditens you need and how to make it in 15 minutes? 1. 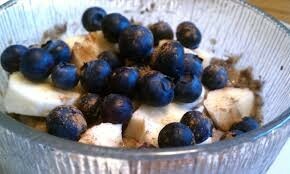 In a shallow bowl, whisk together the eggs, sweetened Almond milk, all spices and the Chia Seeds with a fork. Set aside and let the Chia Seeds grow for 10-15 minutes. 2. Melt butter in a large skillet over medium heat. Dip each slice into the egg mixture, then place in the hot pan. Cook on each side until golden brown. Dust with confectioners' sugar just before serving, if desired. 3. Slice Banana in length and halve them. Cook the bananas in the pan as well. 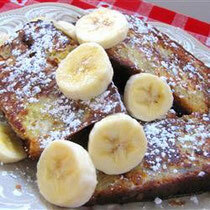 Top up the toast with the baked bananas. Enjoy the breakfast not only on Mothers's day. Our Chia Seed pudding is a delicious and healthy way to start your day. 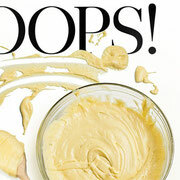 This protein packed combination of “Superfood” can be made smooth and creamy. It contains plenty of protein, vitamins, minerals and omega 3 essential fatty acids. Chia Seeds help to regulate digestion, blood sugar levels, lowers cholesterol level, reduce sugar cravings and promotes hydration. When adding whole Chia Seeds to water or any other liquid they become gelatinous, forming a delightful natural pudding consistency. Historically Chia Seeds have been used by Mayas and Aztecs as a power and enhancing food to keep the body strong and in top shape. Today Chia Seeds are used by athletes and runners who want a clean healthy source of power and endurance. 3. Pour the blended milk over the seeds, stir and let it sit for 10-15 minutes, or overnight in the fridge. 4. The Chia Pudding will have a slight crunch after 10 minutes, but will be soft and smooth next day. Can be stored in the fridge up to 4 -5 days. Do you have a chia recipe that you would like to share? Send it to us service@premiumspicestorbay.com and we'll add it on the site! Let's start and get the biggest collection of Chia Recipes. Ingredients for about 1kg chicken, wings or drumsticks. Put all other spices and salt in the bowl and stire it. 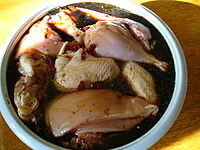 Put the chicken on a oven plate and brush the chicken (wings or drum sticks) with the prepared marinate from both sides. 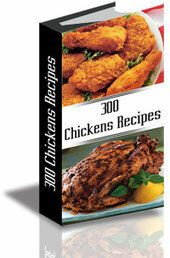 By 180-200 degrees leave the chicken in the oven for 30 minutes. Than take them out to turn the chicken and put the rest of the moarinate on and put them back into the oven. Within the next 20-30 minutes the chicken skin will be crispy and brown, just ready to eat. Inside the meat should be tender and fall of the bones easily. - Enjoy. This is just the basic - you can add other spices and herbs - change the quantity - leave the chicken in the marinade for a while - just explore what you would love most. 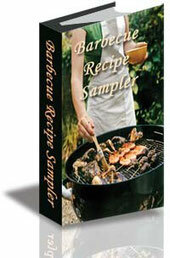 This is the third published book from Premium Spices Torbay Ltd, which includes yummy barbecue recepies for summer time. Preheat oven to 190 degrees Celsius. Grease 24 muffin cups or line with paper liners. Welcome to our Cooking book archive, we will publish one cook book a month on here, which will give you the opportunity to challenge yourself to new kitchen experiments. which includes 300 Chicken Recipes for everyday cooking. We are sure you will find your favorite recipe that you enjoy most. 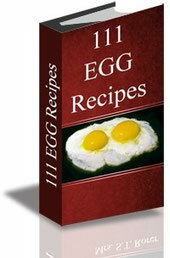 This is the second published book from Premium Spices Torbay Ltd, which includes 111 interesting Egg Recipes for beginners and more experienced chefs. "This is for all the people who don't like pumpkin pie. 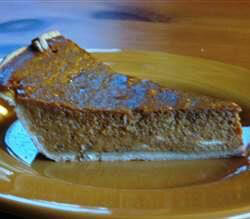 I don't like pumpkin pie either, but this one's different. It's so spicy!! It has become a much anticipated family custom. It's best to make your own pie shell instead of using the ready made kind because they aren't deep enough. This recipe is easily doubled." In a large bowl, combine pumpkin puree, milk, cream, brown sugar and white sugar. Mix in the cinnamon, salt, nutmeg, ginger and cloves. Beat in the flour and eggs. Pour filling into pie shell. Bake for 10 minutes at 450 degrees F (230 degrees C) then reduce the temperature to 350 degrees F (175 degrees C) and bake for 50 minutes, or until filling has set. “A spicy way to impress your friends”. My grant mother made this when I was a child, and I loved it. It is spicy and picante dish but not mouth-burning! 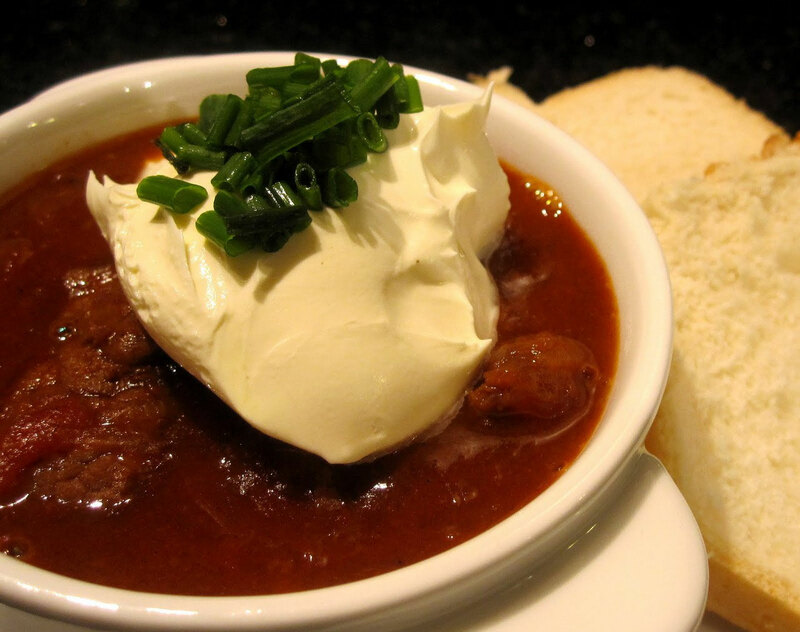 Can be made with New Zealand’s cuts of beef, and comes out very tender. When it gets too thick, add more water while it's cooking. Garnish with sour cream, it kills the hot, when it is too spicy for some people. 1 Heat oil in a large pot over medium heat. Cook onions in oil until soft, stirring frequently. Remove onions and set aside. 2 In a medium bowl, combine paprika powder, chilli granules,1 teaspoons salt, pepper. Coat beef cubes in spice mixture, and cook in onion pot until brown on all sides. Return the onions to the pot, and pour in tomato paste, water, minced garlic, fresh paprika and mushrooms sliced, and the remaining 1 teaspoon salt. Reduce heat to low, cover and simmer, stirring occasionally, cooking time 1 1/2 to 2 hours, or until meat is tender. 4 It pairs well with French stick, pasta, cooked potatoes or rice.